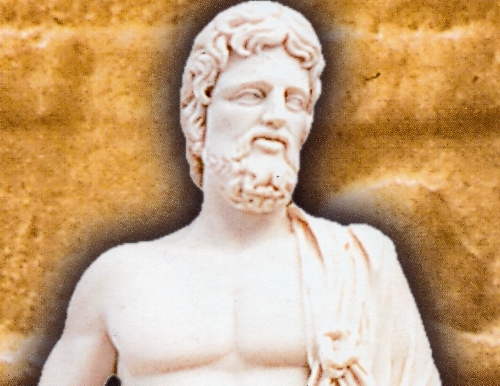 He was the son of Apollo and Coronis and was worshipped throughout the Greek world but his most famous sanctuary was located in Epidaurus in the northeastern Peloponnese. The main attribute of Asclepius is a physician's staff with an Asclepian snake wrapped around it; this is how he was distinguished in the art of healing, and his attribute still survives to this day as the symbol of the modern medical profession. A beautiful statue of Asclepius made of fine white alabaster stone.